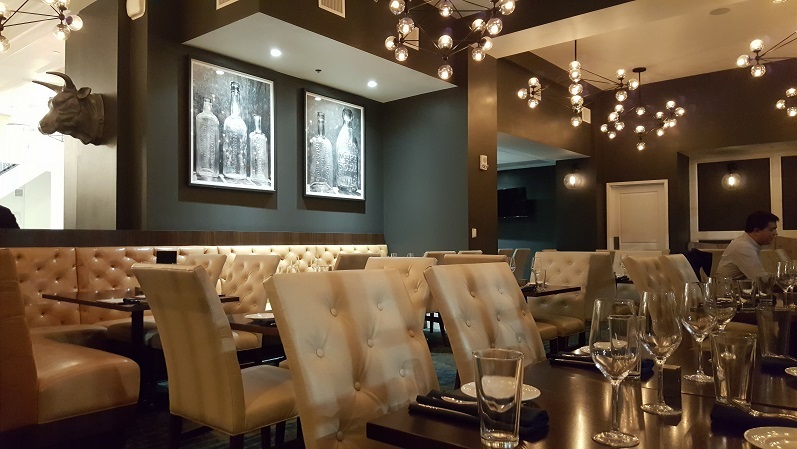 Harvest Restaurant & Bar is right at home among Birmingham's renowned culinary scene! As some of you may know, we are partial to The Redmont Hotel because we had our wedding reception on the rooftop and did our "first look" wedding photos in the lobby. We were thrilled when it got a total make over in 2016. Harvest Restaurant & Bar might just be the crowning achievement in the revitalization of this Historic Downtown Landmark! Having started out serving Italian fare, Harvest has it it's stride focusing more on dishes based on French Countryside Cuisine. We were greeted by our server, Niki, who had previously served us dinner on New Year's Eve. She welcomed us back and was eager to tell us about the #WRW2017 menu. The Winter Restaurant Week menu is $30 and comes with an appetizer, entrée, and dessert! Considering you have two options for both the appetizer and main course it's a killer deal! You can also add a wine pairing option for $25 that includes a glass of wine with each of the three courses! 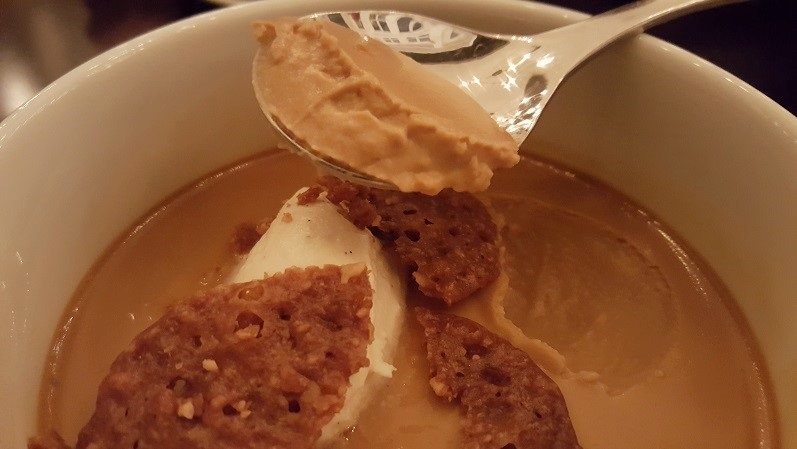 The appetizers included a White Bean Soup & Pork Rilletts. 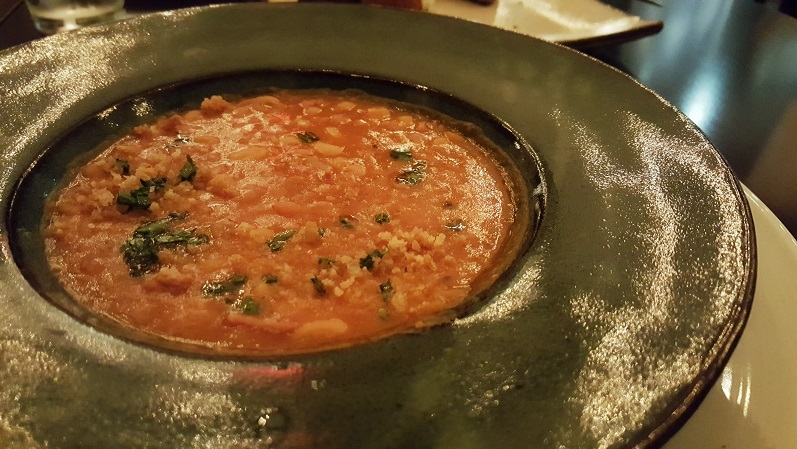 The White Bean Soup was so full of flavor and is a perfect winter dish. It had a smokey flavor and is made with a little duck fat and ham hocks. We expected a cup sized portion, but it's served in a bowl! 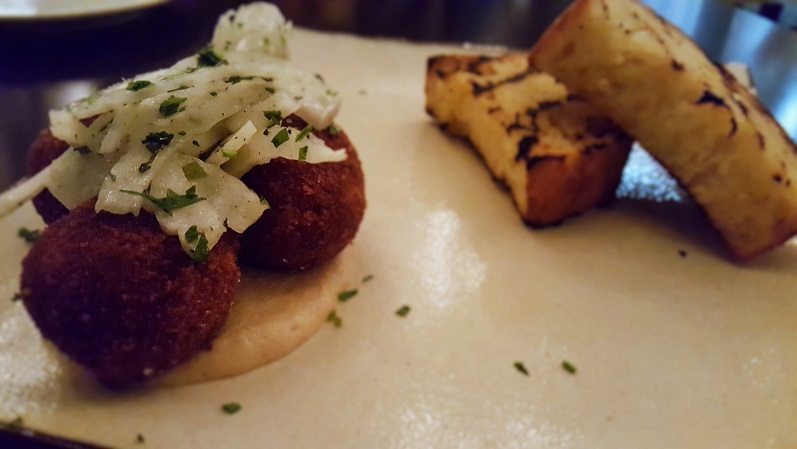 We had no idea what to expect with the Pork Rillettes, but were pleasantly surprised when we tried them. 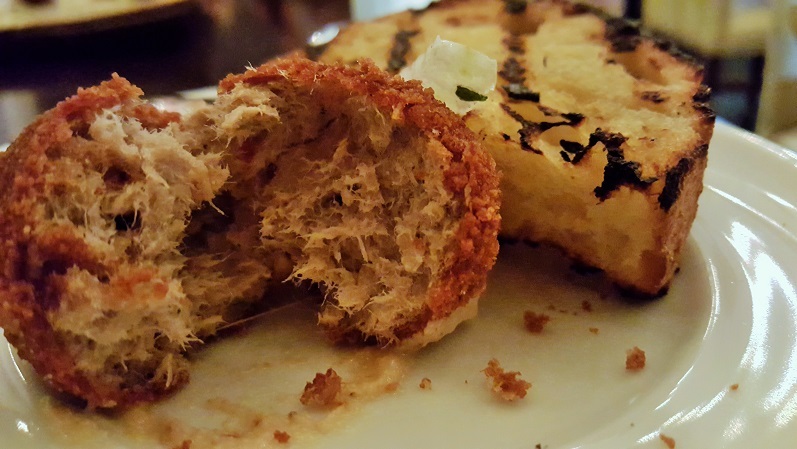 They were breaded balls of pork that had been fried and served on a fermented house mustard. Accompanying the Rillettes were two pieces of grilled bread that tasted like they came right off the grill. As if all this wasn't enough, it was time for our entrées! We ordered the Pan Seared Chicken and New York Strip. 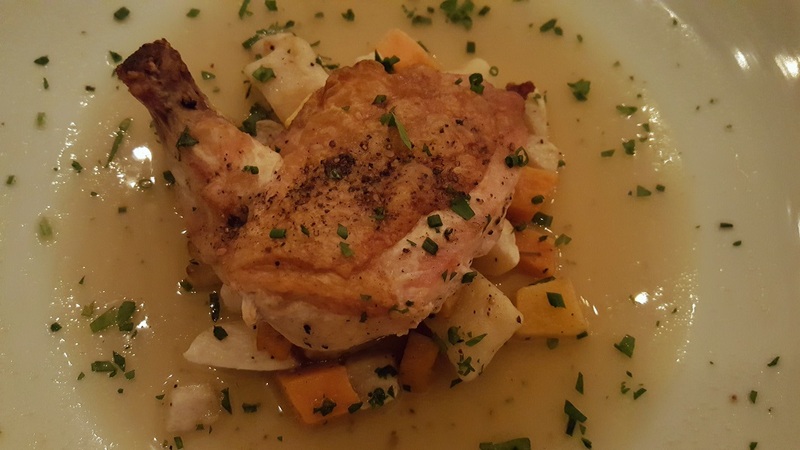 The Chicken is served with gnocchi dumplings, root vegetables, and consommé. The Chicken was crispy on the outside with tons of flavor. Everything else on the plate just added to the how great it tasted! We ordered the New York Strip medium rare. 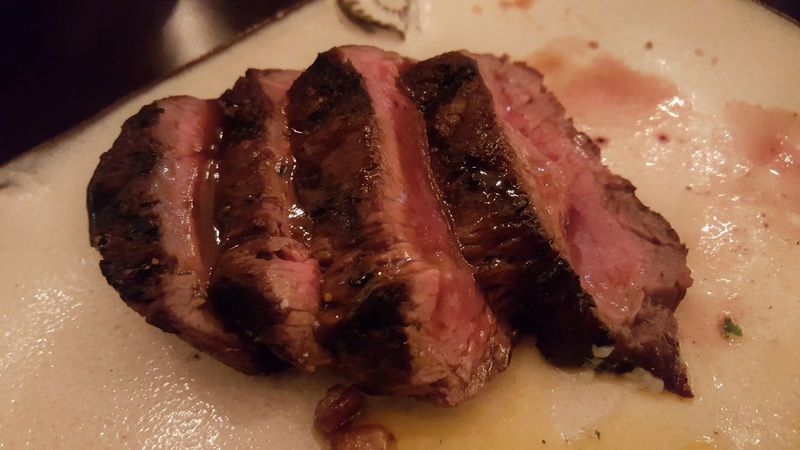 It was cooked to perfection and melted in our mouths. We wouldn't usually order stake below medium, but this was great! It is plated with fingerling potatoes and a poached egg! 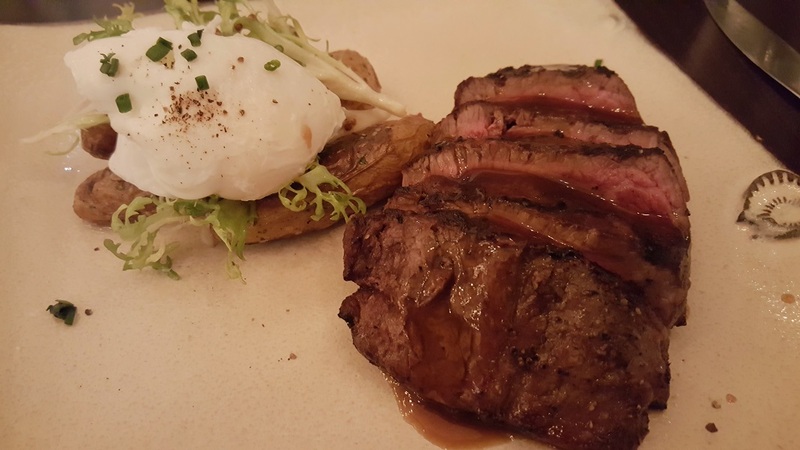 Hidden below the steak are bits of cured pacheta that are like little grenades of flavor! It's truly hard to put into words how amazing this dish is. 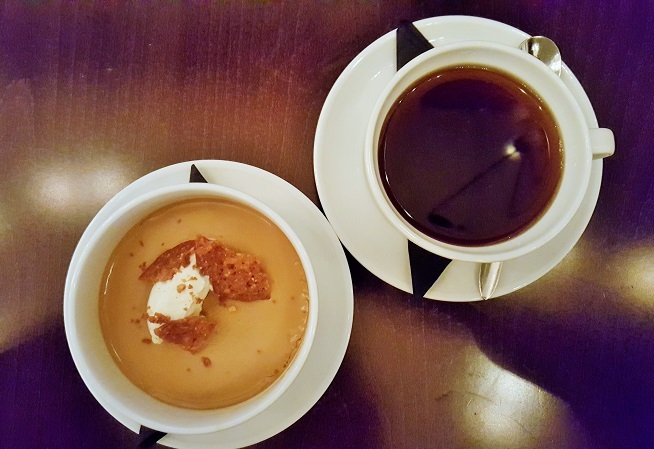 We somehow managed to save room for dessert, which is good because the Butterscotch Pots de Créme is to die for! It's a butterscotch custard that is topped with salted toffee brittle and a chilled vanilla bean whipped topping that is like a light ice cream! We recommend a cup of coffee to complement this dish. 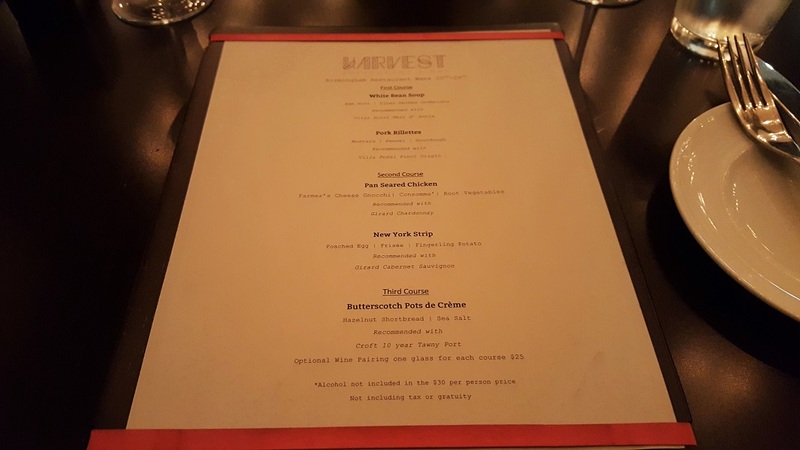 We don't play favorites, but Harvest set the bar extremely high for Winter Restaurant Week! We felt like we just got off of a flavor rollercoaster and wanted to hop back in line to ride again! It's worth noting that they also serve brunch each weekend and have "Sunday Funday" where people bring games to play on the rooftop patio and enjoy bottomless mimosas. They are also having a pre fixe menu for Valentine's Day if you're looking for a nice dinner out next month. 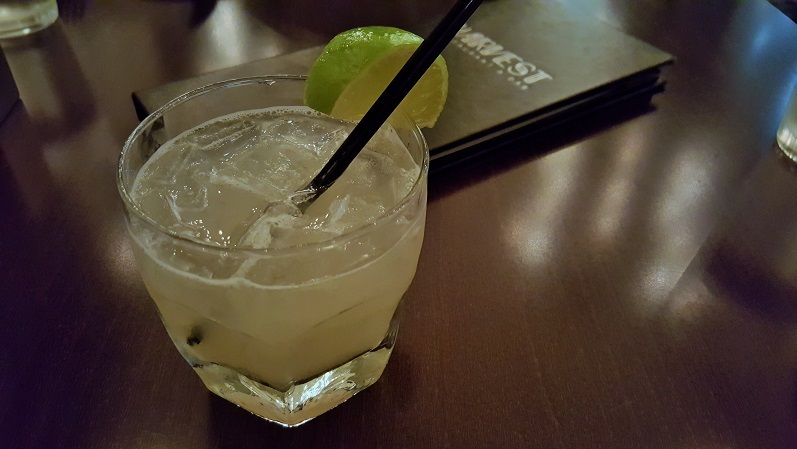 We will definitely be back to try more amazing food at Harvest Restaurant & Bar!